Originally BikeKraft was founded in 1977 and was first named Bills Bike Shop. 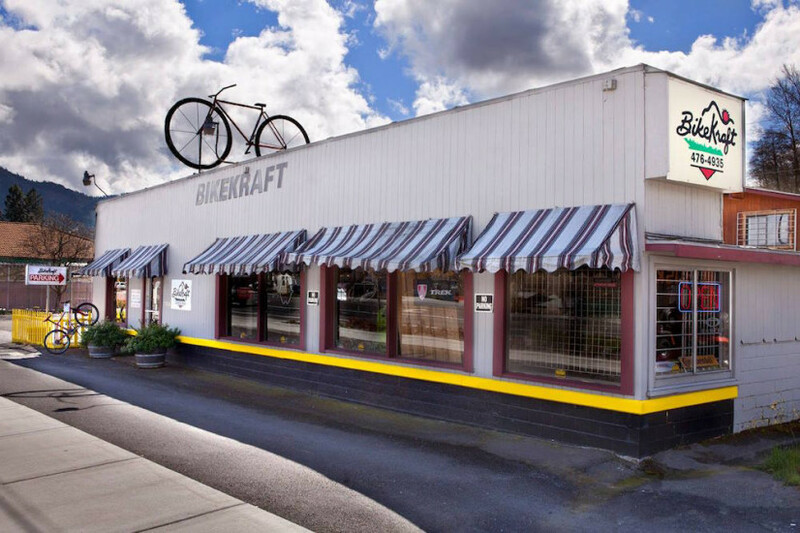 BikeKraft is proud to say that we are the oldest and largest bike shop in Josephine County. We believe in supporting local community events and school programs. We strive to give honest advice on products and services whether we sell them or not. We like to educate our customers about their purchases as well as their repairs on existing bikes. BikeKraft is proud of how many people we have introduced into cycling, for fun and excitement, exercise and fitness, commuting and competition. The products we carry are ones we use. If they don’t hold up to our use and approval we don’t sell them. We take pride in carrying top quality products with warranties available. We carry all types of bikes including Mountain, Road, Hybrids, touring, kid’s bikes and BMX. Richard, the owner, enjoys road biking but his passion is mountain biking. Over the last 19 years Richard has ridden more trails in southern Oregon than almost any local cyclist. Richard is more than happy to share his trail ride info with others. BikeKraft has access to extensive maps of local trails and paved bike paths so come down and ask about our maps.